To make a fair evaluation of e-commerce, we cannot stop at discussing the advantages of e-commerce. Let us also look at the other side of the coin too. Not that all physical retailers have a personal approach, but many do. As a result, shopping at those retail outlets is reassuring and refreshing. Clicking on "Buy Now," and piling up products in virtual shopping carts, is just not the same. Different people sing to different tunes. The demise of the personal touch in online transactions can be the biggest disadvantage of e-commerce. Unless you are using a website to order a pizza, e-commerce website delivery takes a lot longer to get the goods into your hands. Even with express shipping, the earliest you get goods is usually "tomorrow" (except for some Amazon services). But if you want to buy a pen because you need to write something right now, you cannot buy it off an e-commerce website. Likewise, with candy that you want to eat now, a book that you want to read tonight, a birthday gift that you need this evening - you get the idea. An exception to this rule is in the case of digital goods, e.g., an ebook or a music file. In this case, e-commerce might be faster than purchasing goods from a physical store. You cannot touch the fabric of the garment you want to buy. You cannot check how the shoe feels on your feet. You cannot "test" the perfume that you want to buy. You get the idea. In many cases, customers want to experience the product before purchase. E-commerce does not allow that. If you buy a music system, you cannot play it online to check if it sounds right? If you are purchasing a home theater system, you would much rather sit in the "experience center" that several retail stores set up. We live in an era where online storefront providers bring you the ability to set up an e-commerce store within minutes. I have tried it, and it is possible to set up a basic store in under 10 minutes. But if anybody can set up a store, how do I know that the store I am purchasing from is genuine? The lowered barriers to entry might be a great attraction to the aspiring e-commerce entrepreneur. But for the buyer, reliability can be an issue. It could lead customers to restrict their online purchases to famous e-commerce websites. When making an online purchase, you have to provide at least your credit card information and mailing address. In many cases, e-commerce websites can harvest other information about your online behavior and preferences. It could lead to credit card fraud or worse, identify theft. 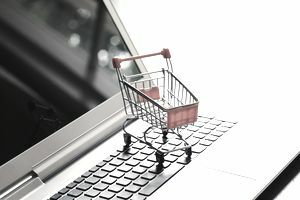 While we might be gung-ho about e-commerce, we must acknowledge that there are disadvantages too. Only when we accept our shortcomings will we work towards overcoming them.